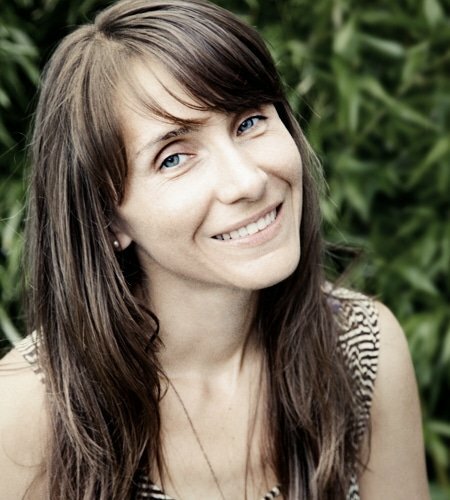 Patryce Bąk is an Eco-consultant and a Certified Holistic Health Coach. She's the founder of Clean Living Guide, a resource for products, recipes and all things healthy and ecological. For more info, please visit: cleanlivingguide.com. Over the years I've become someone whose primary motivation is to lead a healthy lifestyle. One that is not only good for the health of my body, but also aligned with the needs of Mother Earth. I'm interested in wellness on both the macro and the micro level, taking into consideration our environment as well as the each individual within. I believe one can't exist without the other. Naturally, I'm passionate about using ecological products in the home and for the body. I'm absolutely fascinated by the endless natural resources and remedies that the earth supplies us with for everything we may need to heal ourselves, to keep our bodies youthful, to keep our environments clean, and so much more. There is no one event that has led me down this path, just a lot of little trails that all highlighted the necessity for cultivating a holistic lifestyle. Being with nature is my deepest inspiration. A breathtaking landscape, a glimpse of spectacular sky, a wide open horizon, the sound of the ocean, of leaves flittering in the wind, yoga on the beach, a run through the park, or even just being with my house plants all have a profoundly inspiring effect on me. I feel cleansed, opened and divinely connected in the presence of nature. More than at any other moment of inspiration, I get the distinct knowing that anything is possible. One of my favorite bits of advice is the concept of “crowding out,” something that I learned during my study at the Institute for Integrative Nutrition. The idea is that by introducing good habits you can eventually crowd out what's no longer serving you. Instead of punishing yourself and abstaining from something that you crave but know is not good for you, you'll slowly fill your space with the wiser choice. This way you avoid backlash, and can condition yourself to have healthier cravings. I feel most at peace at home, especially when I have time to do all the things that bring me joy: making delicious meals, going for a run, taking a bath, doing yoga, reading and hopefully one day enjoying an ocean view from my own porch. When I'm happy and healthy, and feel like I sparkle naturally without need for much make-up or other exterior adornments. Though I enjoy those too! They're just the cherry on top, but require the foundation of a good healthy glow. Whip up a homemade mask of french green clay, a dab of water and yogurt. Cover your entire face and neck. Leave on for 15 minutes and wash off with a damp cloth. Follow with a nourishing moisturizer. This seriously plumps and tightens your skin! I treat myself to a massage or other body work. There is nothing more soothing than a massage! There are many reasons for this, some psychological, some spiritual, but it can largely be attributed to the fact that massage releases endorphins that calm the peripheral nervous system while simultaneously reducing levels of cortisol and adrenaline in the body. On average I try to have at least one massage per month. Though it may be well deserved pampering, it's also great preventative self-care. Annmarie's products are by far some of the most ecologically sound and effective I've had the pleasure to test out. Even better, the experience of applying Annemarie's oils, cleansers and lotions is sensually divine. The aromas of the naturally derived ingredients are deliciously therapeutic, the textures feel wonderful and the products leave your skin so nourished you're left visibly glowing. Annemarie's beauty products fall into the rare category of ‘edible', and although I feel that this should be the standard for any product designed to be applied to the skin, for now I'm happy to celebrate the work of pioneers like Annmarie. I'm so grateful for her contribution towards creating a more ecological consumer culture! And for bringing us such luxurious and effective beauty tools – straight from the laboratory of nature! Pamper yourself now and these acts of self care will save you much grief later on. Don't be afraid to spend a few extra bucks on products that are authentically good for you. In the long run you will be saving your good health. Remember, what we apply topically is absorbed by our skin and into our blood streams, which circulates to all of our organs. The best rule of thumb is that if you can't eat it, you probably shouldn't put it on your skin (e.g. the chemicals found in most drug store toiletries)! Isn't she beautiful? If you want to keep up with Patryce's amazing life, follow her at cleanlivingguide.com!